BOB ABERNETHY, anchor: In Washington, speculation is running high about where Obama and his family will attend church after they move into the White House. Earlier this year, Obama cut ties with his longtime Chicago congregation, Trinity United Church of Christ, because of its controversial former pastor Jeremiah Wright. Kim Lawton takes a look at some of the Washington churches Obama may want to consider. KIM LAWTON: If the Obamas want to go with an establishment mainline congregation, they may want to consider National Presbyterian Church. It’s regularly attended by cabinet officials, members of Congress, and Supreme Court justices. Congregational archives claim that most presidents since James Madison have visited the church at least one time. National Pres, as it’s called, has about 2,500 members, and note to Obama daughters Sasha and Malia: there’s an active children’s program with about 400 kids. 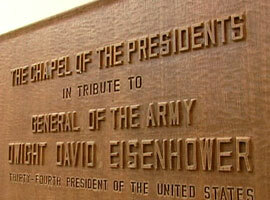 National Pres has a special Chapel of the Presidents, dedicated to Dwight D. Eisenhower. Ike was the last president to make this his church home. He was actually baptized here while he was president. National Pres may say that most presidents have visited, but St. John’s Episcopal makes the claim that every president since Madison has come here at least once. St. John’s Episcopal Church has a great location. If you’re at the White House, all you have to do is walk across Lafayette Park and you are here. No excuses for being late. 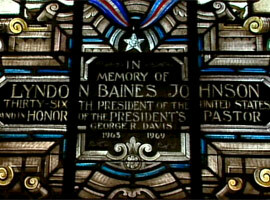 The church was founded in 1815 specifically to offer presidents a place to worship. The historic national landmark is now undergoing its first major renovation in more than a hundred years. The sanctuary was literally gutted, and everything is being refurbished and upgraded, from the floors to the electrical systems. 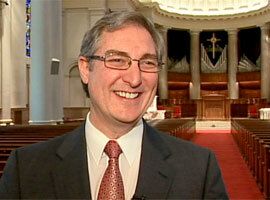 Rector Luis Leon says St. John’s has a lot to offer a president. In addition to the location, he says the congregation is used to all the Secret Service and its elaborate security measures, and there’s even a special presidential pew. Reverend LUIS LEON (Rector, St. John’s Episcopal Church): And right about here is where Pew 54, which is called the President’s Pew, will be once we finish the renovations to the church. LAWTON: It’s the spot first selected by President Madison. Rev. LEON: He didn’t want the front pew, which would be the most prominent pew. He wanted one that was in the middle of the church so that he would be treated as every other parishioner would be treated here at St. John’s Church, and that’s a standard that we’ve tried to maintain over the years. LAWTON: So what if a president doesn’t want to sit in that pew? Rev. LEON: He could sit where ever he wants to sit. LAWTON: Leon says the church tries to meet the spiritual needs of a congregation made up of people from all over the metropolitan area, from the powerful to the homeless. Rev. LEON: And everybody checks their political partisan membership at the door, and we get along very well because of that. LAWTON: And after the controversy generated by the fiery sermons of Jeremiah Wright, Obama may be relieved to learn that Leon has a very different preaching style. Rev. LEON: The one thing we’ve grown accustomed and we are very careful about because we never know who’s in the congregation is that we try not to scold anybody. LAWTON: Franklin Delano Roosevelt and several presidents after him held pre-inaugural prayer services at St. John’s. Leon says they’ll be ready should Obama chose to do so as well. Rev. LEON: Our contractors have assured us that the renovations will be completed by the first part of January. LAWTON: If Obama wants to be part of one of the most historic churches in the African-American tradition, he may want to consider Metropolitan African Methodist Episcopal Church, also known as the National Cathedral of African Methodism. The AME was founded in 1816 by a former slave, Richard Allen, and it’s America’s first independent black denomination. Metropolitan has a long history of social activism. It was a stop on the Underground Railroad, and Frederick Douglass preached from the pulpit here. Today it continues to be a center of progressive religious causes. We know Obama likes good church music, so he may want to base his decision on that. If so, there’s the Southern Baptist Church Praise and Worship Center, which, by the way, is not affiliated with the Southern Baptist Convention. Earlier this year, Southern Church won the Verizon Wireless competition for the best small church choir in the DC region. Co-pastors Charles and Eleanor Doom say they strive for the kind of church music that touches everyone. It’s all part of the church’s exuberant worship style. Reverend CHARLES DOOM (Co-pastor, Southern Baptist Church Praise and Worship Center): We just don’t sit. We are not quiet. We give our physical expressions. We do what the psalmist says. We make a joyful noise unto the Lord. Reverend ELEANOR DOOM (Co-pastor, Southern Baptist Church Praise and Worship Center): We genuinely love God and appreciate what God has done for us. LAWTON: There’s a closeness here — a feeling of family. Rev. C. DOOM: We use these terms in the church “brother” and “sister.” Those are kindred terms — those are family terms. We are very oriented in terms of family. We believe that strong families make strong churches. 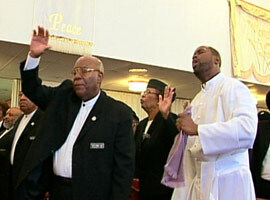 LAWTON: Pastor Doom often preaches a vigorous sermon. Rev. 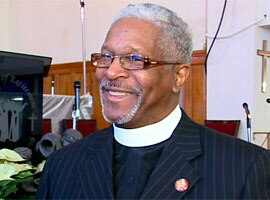 C. DOOM: I try to preach something that will meet the needs of the people where they are. LAWTON: Are they long sermons? Rev. C. DOOM: I’ve been guilty of that, yeah. I tell people I’m not a helicopter-type preacher. A helicopter goes straight up. I’m more like a 747. It takes me time to go down the runway, get clearance, and take off. LAWTON: An added bonus: there are lots of church dinners, and Southern boasts that it has many great cooks. Rev. C. DOOM: We have various services where food is involved. You know, church people love to eat, so we fellowship around food. Amen. LAWTON: Obama may want to attend New York Avenue Presbyterian, the church of one of his presidential heroes, Abraham Lincoln. Some presidents have based their church decision on denominational ties. Jimmy Carter chose First Baptist, where he sometimes taught Sunday school classes. The Clintons regularly attended Foundry United Methodist, the denomination Hillary grew up in. Obama was a member of the United Christ of Christ for more than 20 years. 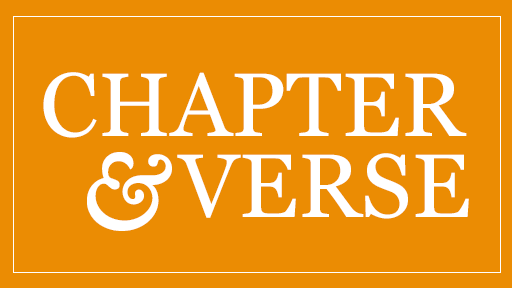 There are eight UCC churches in Washington, including Plymouth UCC, which describes itself as a church striving to connect people to God, people to people, and people to great causes. Then again, National City Christian Church might fit several qualifications. It’s part of a sister denomination to the UCC. It’s close to the White House. It’s historic, and it also has several presidential ties. Reverend Stephen Gentle is senior pastor. Reverend STEPHEN GENTLE (Senior Pastor, National City Christian Church): National City Christian Church is an exciting place to worship and to come and grow spiritually. It’s a multicultural, multiracial, bilingual congregation that seeks to be welcoming to all people. 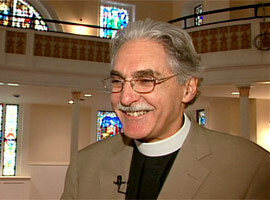 LAWTON: Gentle says with his sermons he tries to engage both the heart and the mind. (to Rev. Gentle): Do you preach a long sermon? Rev. GENTLE: That’s a relative question. No. They could be longer. LAWTON: National City Christian has a variety of musical styles, from a gospel choir to classical musicians who also perform at weekday noon concerts at the church. Two presidents have made this their church home, James Garfield and Lyndon B. Johnson, and both are immortalized in stained glass windows in the sanctuary. Garfield was the only ordained minister to be U.S. president, and he was highly involved here until his assassination in 1881. Rev. GENTLE: President Garfield, James Garfield, was not only an active participant in our congregation, but when he was in worship would often be asked to preside at the Lord’s Table, our Communion service, or sometimes even to preach. LAWTON: LBJ and Lady Bird were also active here. Rev. GENTLE: I’m told that often they would go down for coffee at our social time and would spend as much time as they would like, just greeting and visiting and taking photos with members of our church and other guests. LAWTON: LBJ’s window has symbols that depict some of the highlights of his presidency: the establishment of Medicare; space advances at NASA; and, of course, racial reconciliation and the signing of the Civil Rights Act of 1964. There’s a special presidential pew here, too, deemed by LBJ’s Secret Service team to be the safest place in the church. It’s right near an exit. The deacons always brought Communion here to the president first. Rev. GENTLE: I’ve been told that the reason they wanted the president and his family to be served first is so that no one would tamper with the Communion, and they would be safe. LAWTON: Gentle says while they have a special spot reserved for the president, they are flexible. Rev. GENTLE: Of course, we would be delighted to find just the right pew for the Obama family should they ever like to worship here. LAWTON: Whatever congregation the Obamas choose will have to make numerous accommodations, from security to the inevitable national scrutiny. But as one religious leader told us, the most important consideration for Obama will be finding a place that will nurture his soul. ABERNETHY: We may not know yet where the Obamas will go to church, but we do know that the new president will attend a public prayer service at Washington’s National Cathedral on the morning after his inauguration.